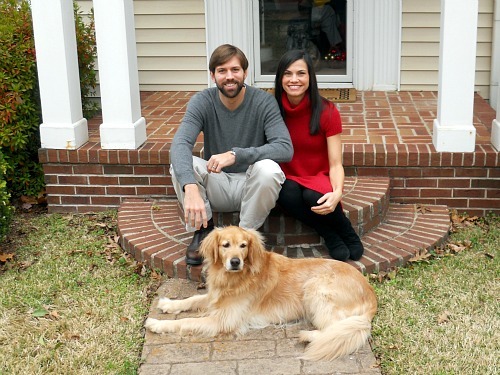 I hope this post finds everyone enjoying the holidays and excited for the arrival of 2011! It’s been a great year on Bakin’ and Eggs and I wanted to share the most popular posts of 2010 with you. 10. 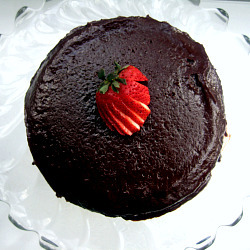 Warm Chocolate Raspberry Pudding Cake – this warm, gooey, delicious cake was the second to last recipe that I posted for my 68 Days of Gourmet project. It was a great way to end things with a bang! 9. 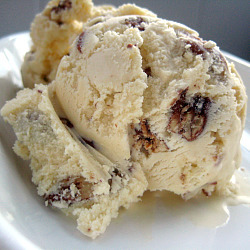 Maple Butter Pecan Ice Cream – another addition from 68 Days of Gourmet, this Maple Butter Pecan Ice Cream was the first recipe I tried with my KitchenAid Ice Cream Maker attachment. 8. 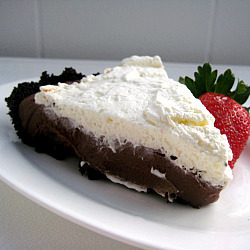 Chocolate Cream Pie – are you noticing a theme here? This is another recipe from 68 Days of Gourmet and another dessert. You guys definitely love your sweets (like me!). 7. Applesauce Spice Muffins – Muffins are always a hit on the blog, especially when I add a healthy twist. 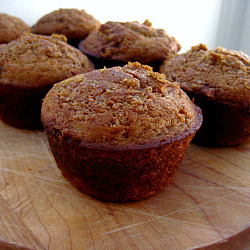 These applesauce spice muffins are a breeze to whip up for breakfast and full of warm flavors! 6. 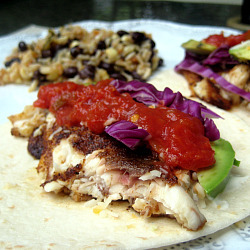 Fish Tacos with Baja Cream – This is our go-to fish taco recipe. They are easy, healthy and delicious! 5. 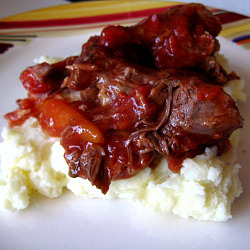 3 Ingredient Pot Roast – Another winner from 68 Days of Gourmet, this pot roast contains only three ingredients and is sure to be a winner with the whole family. Try using the leftovers for shredded beef enchiladas! 4. Pita Bread – It’s easy to make pita bread at home! 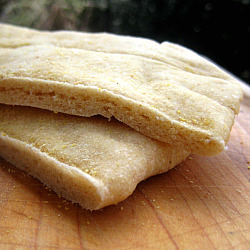 This pita bread freezes wonderfully and tastes much better than store bought. 3. 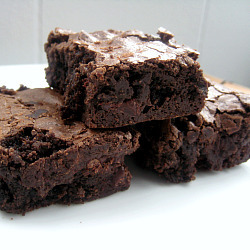 Chewy, Fudgy Triple Chocolate Brownies – My dad made these amazing brownies from Cooks Illustrated and they are absolutely perfect. A must-try for chocolate lovers. Even better served warm and topped with ice cream! 2. 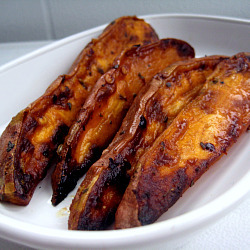 Roasted Spiced Sweet Potatoes – an easy, flavorful side dish and a delicious spin on sweet potatoes. 1. 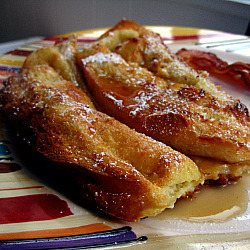 Overnight Baked French Toast – it’s only fitting that a recipe from 68 Days of Gourmet is the top post of 2010. I can’t blame you though, this French toast recipe is wonderful and so easy to assemble the night before. If you are an overnight guest in my house, it’s a pretty sure thing that you will be eating this French toast the next morning! Thank you all for reading and eating along with me! Here’s to much more deliciousness (and more frequent posting, I promise) in 2011! i must try those brownies and pita bread!! I have never ever made my own bread anything! happy new year! looking forward to all the delicious foods you’ll cook up in 2011!